If President Obama green lights the controversial Keystone XL Pipeline project — as many environmentalists fear he will do — it will anger a lot of the people who voted him into office. A new national poll shows that Obama voters overwhelming (68 percent) oppose the Keystone XL, which would ship dirty tar sands oil from Canada to the Gulf Coast. The poll, conducted by Public Policy Polling and commissioned by the Center for Biological Diversity, also shows that a strong majority — 61 percent — of the president’s supporters said they would feel “disappointed” or “betrayed” if he approves the massive pipeline. The Keystone XL, each day, would carry up to 35 million gallons of oil extracted from tar sands, which is the dirtiest form of fossil fuel on the planet. 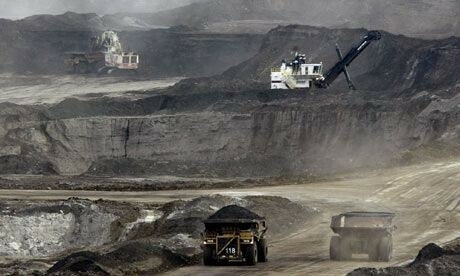 Environmentalists are concerned that the huge pipeline will expand the worldwide market for tar sands oil and thus will greatly worsen greenhouse gas emissions. The pipeline also would cut through wilderness areas of the United States and could imperil threatened and endangered species and drinking water supplies. Overall, the poll showed that a majority of Americans — 55 percent — said they “very concerned” or “somewhat concerned” about the pipeline’s impact on water and wildlife. And among Obama voters, 76 percent said they were “very concerned” or “somewhat concerned” about its impacts on climate change.